The Quality Inn Central hotel in Albany, NY gives you real value with peace of mind. Were near Albany International Airport, University at Albany, SUNY, Times Union Center and Crossgates Mall. 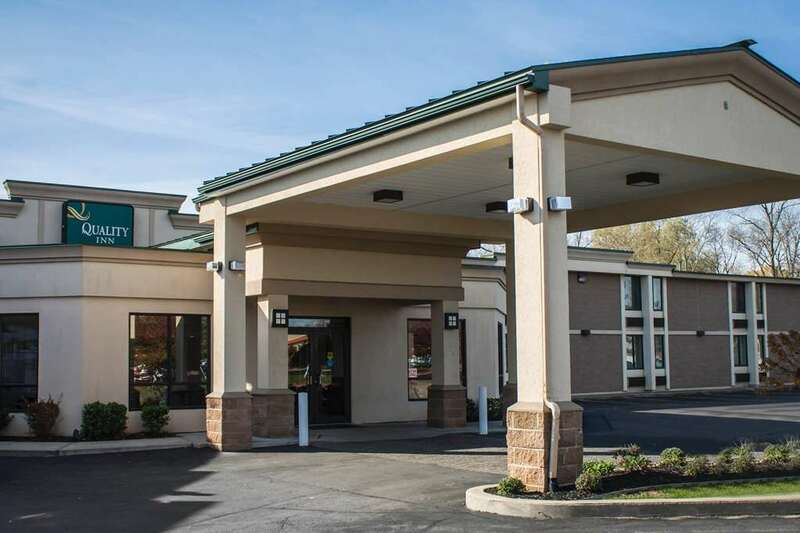 We deliver full-service amenities that include free breakfast, free WiFi, free weekday newspaper, an indoor heated pool, fitness center, guest laundry facility and free parking with spaces for buses and trucks. Each spacious guest room features a TV, hair dryer, coffee maker, desk, microwave, refrigerator, iron and ironing board. Also, earn rewards including free nights and gift cards with our Choice Privileges Rewards program.